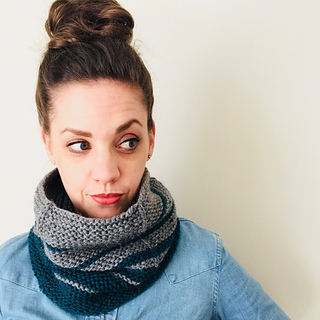 The Brier cowl is a basic cowl with a few clever touches that make it special. 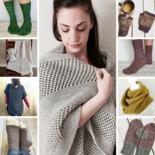 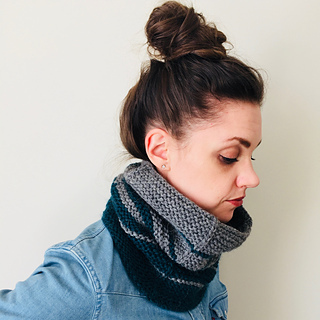 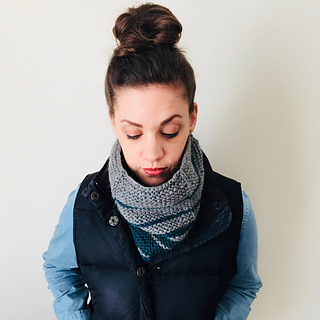 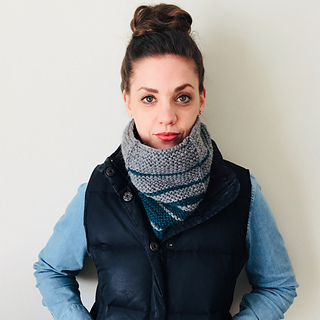 Knit mostly in squishy Garter Stitch, columns of slipped stitches add an element of style and also hide the jog that usually occurs when working both Garter Stitch and stripes in the round. 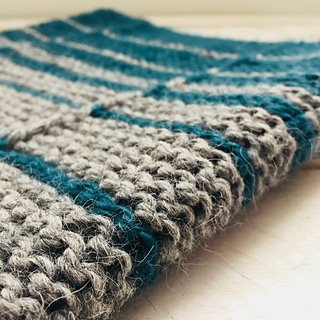 The stripes follow the Fibonacci sequence; this provides a clever transition from one colour to the next and makes room for experimentation with different colour combinations. 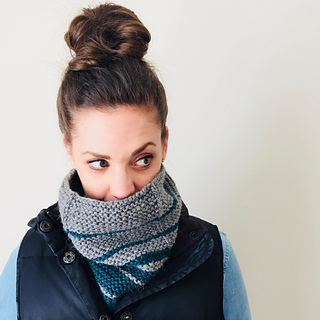 Shown in Estelle Yarns Alpaca Merino Chunky (60% Superfine Alpaca, 40% Merino Wool; 125 m/137 yd per 100 g/3.53 oz skein) in colours C1: Teal (219) and C2: Mid Grey Heather (225); 1 skein each. 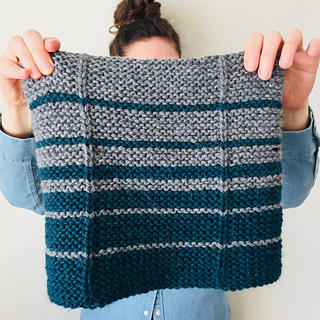 Stitch pattern is written only (no charts).